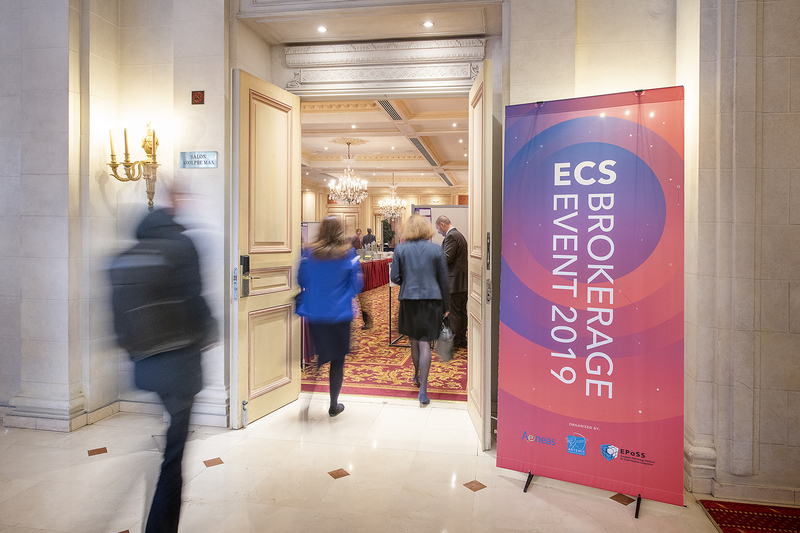 The photos taken at ECS Brokerage 2019 can be viewed on the Pictures page. 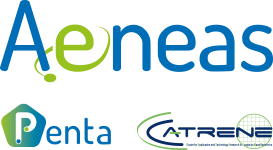 The ECS Brokerage Event combines the brokerage activities of the industry associations AENEAS, ARTEMIS-IA and EPoSS into one networking event dedicated to project proposals in the field of Electronic Components and Systems. This event facilitates the ECS communities and collects all project proposals and experts together, making it easier for the ECS research community to find and create information and project proposals. The event is linked with the ECS Collaboration Tool; the online tool that enables users to initiate projects and invite partners, or use the messaging system to look for partners or projects, and to apply for a pitch timeslot and poster space at the ECS Brokerage Event. After forming consortia, online and at the ECS Brokerage Event, project teams can assess the best mechanism for funding support for their project, be it a National, ECSEL-JU, European Commission or EUREKA type funding. This preliminary programme is still subject to changes. Participation to the ECS Brokerage Event is free of charge for members of the industry associations and for Public Authorities. For those who are not part of one of these communities, an entrance fee of € 300 including VAT is to be paid in advance (non-refundable). For SME's a reduced fee of € 150 including VAT applies. Registration is open to all organisations that have a project idea in Electronic Components & Systems or are interested in joining an ECS project consortium, and to Public Authorities that want to preview the field of interest. The registrations deadline is 8 January 2019 - subject to availability. Please note that paying the Variable project fee by signing a DoA does not mean you are a member of an industry association. To sign up as member, please contact the respective industry association, or send an e-mail to info@ecscollaborationtool.eu. On Tuesday 15 January a networking cocktail is organised, which offers a valuable networking possibility while enjoying drinks and snacks. This cocktail is free of charge, but please remember to indicate your participation in this cocktail in the event registration form. Train: the airport train station is located below the terminal (basement level -1). Up to 4 trains per hour connect the airport to Brussels North station. Taxi: Taxis are easily to be found in front of the airport. 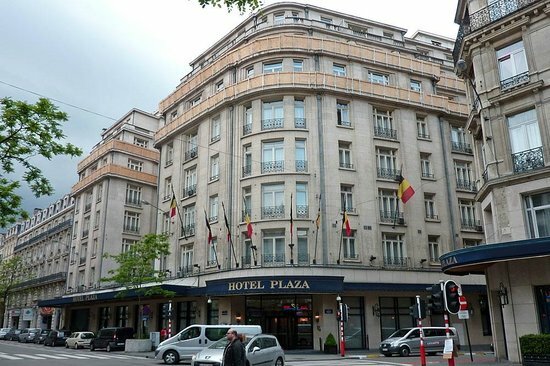 Airport – Le Plaza Brussels will cost you approximately 50 euros and will take you about 20 minutes. Metro/Tram: take the line 6, direction Simonis Elisabeth, to the Rogier station.Rogier. Taxi: Taxis are easily to be found in front of the station. This will cost you approximately 15 euros and will take you about 10 minutes. Foot: (5 minutes) take the rue du Progrès and head towards the place Rogier. Go straight ahead until you reach the Le Plaza hotel, on the right side of the boulevard. Métro/Tram: take the line 3 or 4, direction Churchill or Stalle, to the Rogier station. Metro: Take the line 1 or 5, direction Gare de l’Ouest or Erasme. Get off at De Brouckère station and take the line 3 or 4, direction Esplanade or Gare du Nord, to the Rogier station. Taxi: taxis are easily to be found in front of the station. This will cost you approximately 10 euros and will take you 5 – 10 minutes. The direction of the traffic of the Boulevard Adolphe Max and Maline Street has been changed, most GPS are not up to date. To reach the hotel, take the Boulevard Emile Jacqmain, rue du Pont Neuf to go up on Adolphe Max. The hotel has a secure pay parking with valet service.